All winter long, Oregon lawns receive copious amounts of water. However, during the long, dry Pacific Northwest summers, you need to figure out how to best water the plants in your garden. Lawn sprinkler systems are the traditional go-to for landscape irrigation. Sprinklers are great when you have a large swath of plants of the same sort. Thus, sprinklers are great to use on grassy lawns. During the summer, it’s best to use sprinkler systems either early in the morning or later in the evening, close to sunset. When you use a sprinkler in the middle of the day, much of your water is liable to evaporate and you could inadvertently scorch your grass. The optimal time to water with a sprinkler is in the evening. The water will have all night to soak down to reach the roots, and there will be less evaporation. You can set up a timer for your lawn sprinkler system to make sure it goes on at the best times during the day. An experienced irrigation system contractor can help you place sprinkler heads right where you need them to make sure your lawn receives the perfect amount of water, and also ensure that the sprinkler heads are out of the way. A drip system is the solution many gardeners choose when they have a variety of plants to care for. Drip systems allow landscapers to fine-tune how much water their plants receive, and at the optimal times of day. They operate using porous hoses that deliver water directly to the plant roots. Since they are often shaded by the plants, there is little evaporation and there is no need to worry that water on the leaves will scorch the plants at midday. Though not quite as versatile, some gardeners integrate drip irrigation with their rain-catchment systems. These systems deliver water to plants via simple gravity. Your rain barrel captures water and then you can distribute it to plants when the rain ends. You can’t tweak these systems with special emitters or timers, but they save your water bill, especially during summers that have good periodic rains. If you don’t yet have a rain-catchment system and are considering this option, you’ll want to pay close attention to the rainwater harvesting regulations in your state. If you’re not familiar, a bubbler irrigation system is somewhere between a sprinkler and a drip system. Bubblers emit larger volumes of water, but from about 6 inches above the ground surface. They are designed to water your plants from the root systems. You can operate them on timers, and focus their emitters so that they water just the plants you choose. Bubblers are great when you have a lot of identical plants in the same small area. They are great for shrubs, trees, and raised plant beds. When you are deciding between drip and bubblers, look at the plants you need to care for. For areas with a lot of variety, you might choose the highly versatile drip irrigation. For larger plants, or a more homogenous garden area, the bubbler system might fit the bill. 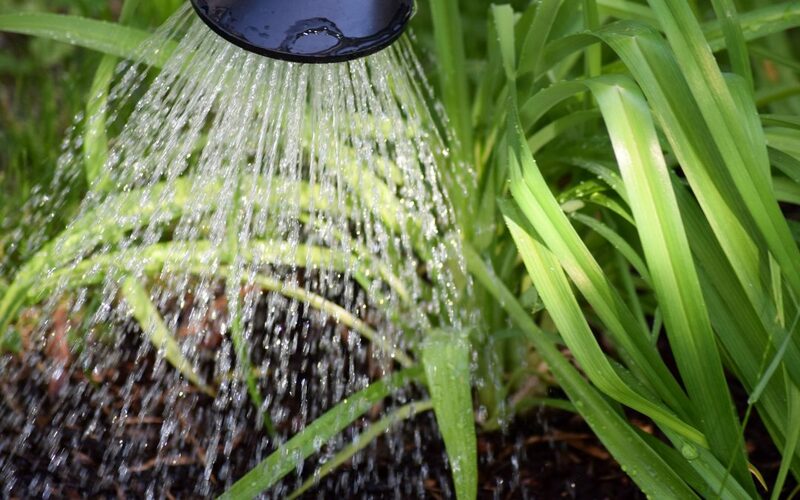 Keep in mind that you can always use both irrigation systems to meet all of your watering needs. You can even add bubbler nozzles to sprinkler heads to convert certain areas of your landscape to the bubbler irrigation method while also utilizing the sprinkler irrigation system. Our professional landscape team can help you access the type of irrigation systems that will work best for your landscape, plants, and daily schedule. With proper landscape irrigation and water management, you can save yourself time and money. Contact Crowley Landscape Management to help you design an optimal irrigation system for residential and commercial properties!